I haven't really been into blogging as of late, though sewing is still very much on-going. 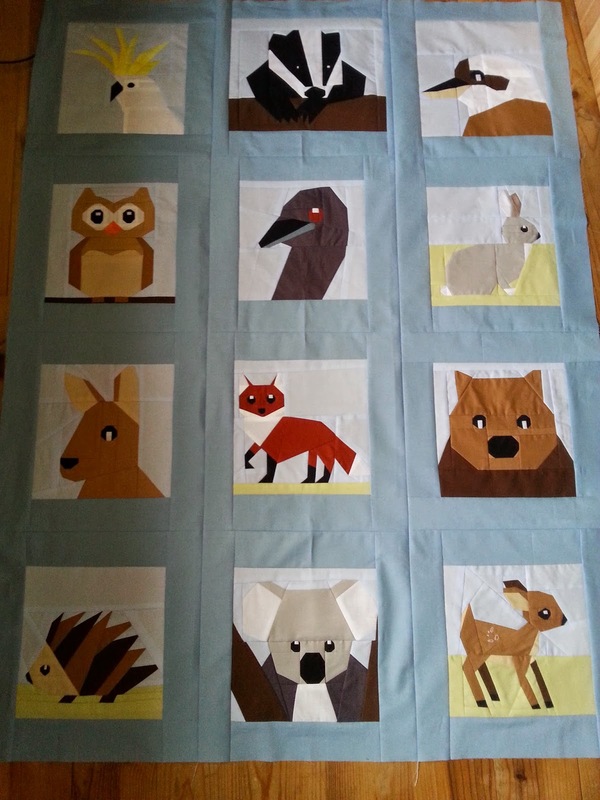 I've had two quilts on the go for the last few weeks (well one the last couple of months). 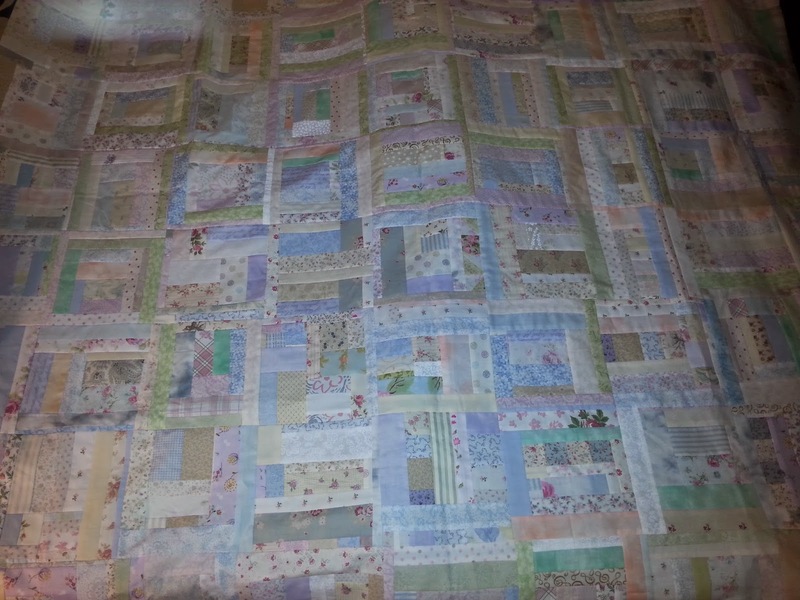 I have been working my way through a foundation pieced quilt and it has been a big learning curve, I've done a few foundation blocks before, but nothing like this and I have become very acquainted with my stitch ripper and on a couple of occasions I have had to just put it down and do something else, but I now have a finished top. The back is ongoing and will have three blocks on it, a Union Jack, an Australian flag and a cupcake, which will be on the top of the back upside down, so it can be folded over and viewed with the other blocks on the front. The below is what I was working on when I had to walk away and it's abut 80" square and I really like it, very girly and pretty fabrics. It just needs sandwiching, quilting and binding. This one is a finish and is now hanging in the church, it's been finished about a month, but I didn't get around to photographing it. I'm now helping the other two women in the sewing group to make a quilt each (from my scraps stash), which we'll raffle off for the church and a children's home that we support in Romania. Oh my goodness - those paper pieced blocks look FANTASTIC!! They must have taken you absolutely ages. I love them all!! I am working on Kristy's Lego Star Wars paper pieced blocks and I am so over them already! I love them when they are finished but I think they are going to drive me nuts!! Your WIPS are great! I especially like the girly piece. 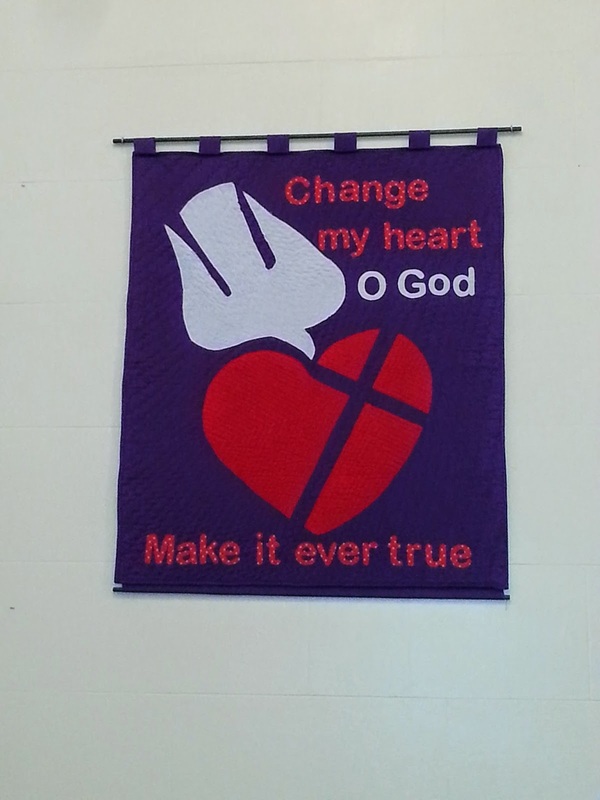 The church banner and animal quilt are incredible!